Not many property owners realize this, but a majority of the repair expenses in a home or commercial building come from water damage. The main reason for this damage is the lack of proper storm water drainage solutions and landscape drainage solutions. 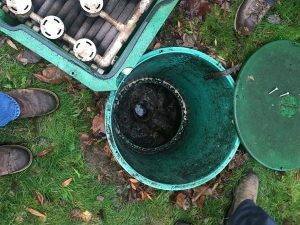 Luckily, Vac-Tec LLC can help minimize such damage by installing efficient front and backyard drainage solutions in Eatonville, WA properties. 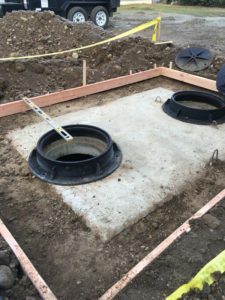 We specialize in design as well as the construction of curtain drains, underground downspout drains, and storm drainage systems. Give a call to discuss your drainage problems with our experts. Rely on us to fix these with the most suitable and effective drainage solutions for your Eatonville property. The gutter system in any property is not really complete until a downspout drainage system is put in place. You do not want the rainwater directed away from the roof only to have it pool in the basement, yard, or near the foundation. Hire us to install downspout drain lines in your Eatonville property to make sure that the roof run off is carried safely away, without any damage to the building or the landscape around it. You can even recycle this excess water by having a catch basin or downspout drain box installed to collect water from the downspout drain pipes. Our technicians are also expert at curtain drain installation. Eatonville properties with a sloped yard usually face drainage and erosion problems that are easily resolved through the construction of curtain drains. These are similar to french drains which are also called footing drains. Depth is the main difference between curtain drains and french drains. Curtain drain depth tends to be shallower as the drain deals more with surface water than groundwater. 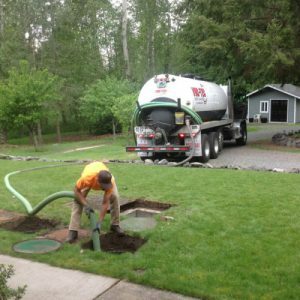 Call (253) 777-4887 to schedule a job with Vac-Tec LLC for the construction of storm drains, downspout drains, or curtain drains in your Eatonville property.